Favorite Books for Toddlers with a Brown Bear and a Fantastic Fox! We love reading in our house. Right now it’s more kids books than books for me because by the time I get a chance to relax and read, I end up falling asleep! Right now, the kids are each loving a new book that they got as gifts. 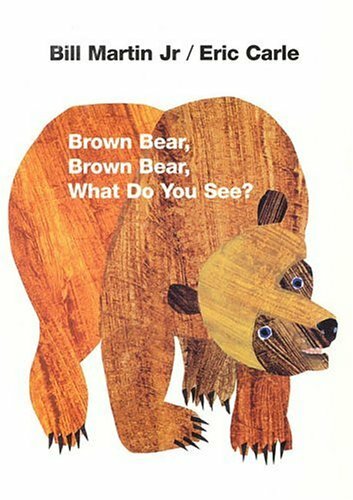 For Kyah, she keeps asking me to read, “Brown Bear, Brown Bear What Do You See,” by Bill Martin and Eric Carle. It’s a simple books with colourful pictures of animals. But I think it’s the simplicity of the words that has made her love the book the most. Even when we are not reading the book, she’ll walk around the house asking everyone “Green frog, green frog what do you see?” Or, “Yellow duck, yellow duck, what do you see?” I definitely recommend this book for the toddler in your life! Keyan’s favourite book is from this amazing gift he got. It was the a series of books by author Roald Dahl. 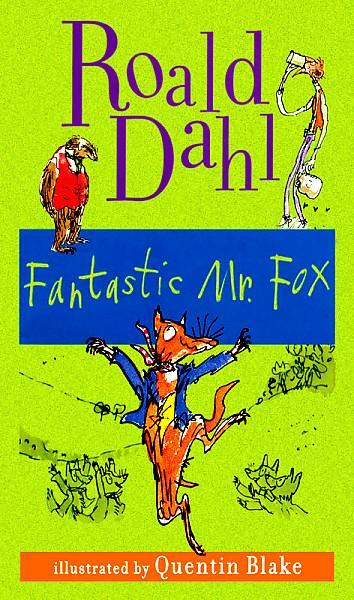 I loved reading all of Dahl’s books growing up. I thought that at the age of four, Keyan might be too young to enjoy them. We started off with “Fantastic Mr. Fox,” one of my favourites. There weren’t as many illustrations as he’s used to, but I was surprised at how intently he listened as I read each chapter and at his disappointment when I told him that we’d read more tomorrow. He really loved ‘Fantastic Mr. Fox’ and next we’ll be reading ‘Matilda.’ If you feel like your child is ready for chapter books, this is a really good one to start with. Over the year, I’ve been documenting some of the kids favourite books. I thought that it would be a good time to share these favourites with anyone who is looking to buy books as gifts this holiday season. So that’s a pretty good list of book choices for the toddlers in your life. If your kids have any favourites, please share them in the comments sections, I’d love to hear from you. This looks like a great book list for gifts. I have a new niece on the way soon. She will have a great library! I had never heard of the urgency emergency series. I will have to check it out. I am currently writing a book called, Then what Happened. It is a collection of nursery rhymes that tell what happened right after the nursery rhyme ends. For example, does Humpty Dumpty stay dead, or do his friends and family put him back together? I absolutely love Brown Bear, Brown Bear and all of the Eric Carle books. Joanne, that sounds like an absolutely wonderful idea, I can’t wait to read your collection! I know my kids would love to know what happens to Humpty Dumpty next. I’ve read the brown Bear book, it is indeed great for young kids. I love the Brown Bear book! It’s one of my favorites to read with my daughter. Unfortunately, my baby is full grown with adults of her own. 🙂 Though, I am certain if I had to buy a book, it would definitely include one mentioned above. Thanks! My little one is all grown up now, but her love of reading started young. It’s fantastic when you find a book that sparks a childs imagination. We still have very dog eared books in her room – the Sheltie series of books was one of her favs and I remember her being so overjoyed when she started reading them to me rather than the other way around. She still has many of them on her bookshelf! I’ll have to check out the Sheltie collection, thanks! Love all the suggestions. I am always looking for new books for Kamran and also my Kinder students! Kamran really loves the Llama llama series! The kids really enjoyed the Llama in Pyjama’s book, I’ll have to check out the rest of the series. My girls used to love Eric Carle’s Very Hungry Caterpillar when they were small, but I haven’t seen Brown Bear, What do You See before. Roald Dahl was always a favourite too. Thanks Yvonne, and The Hungry Caterpillar is a favourite with my kids too. My (now) 5 year old loves the Brown Bear book. She first saw it at a story time reading at the library and it instantly became one of her favorites. Thanks for the other book suggestions. I agree on them all. Love those books. I”m a big fan of Suesse. We covered the children’s book authors that we interviewed this year recently at our blog. There are some great ones!